SKIP THE WAIT-LIST! IMMEDIATE GOLF MEMBERSHIP OPTIONAL! Here is your opportunity to own a rarely available and highly sought after golf estate within the prestigious Palmira Golf and Country Club. 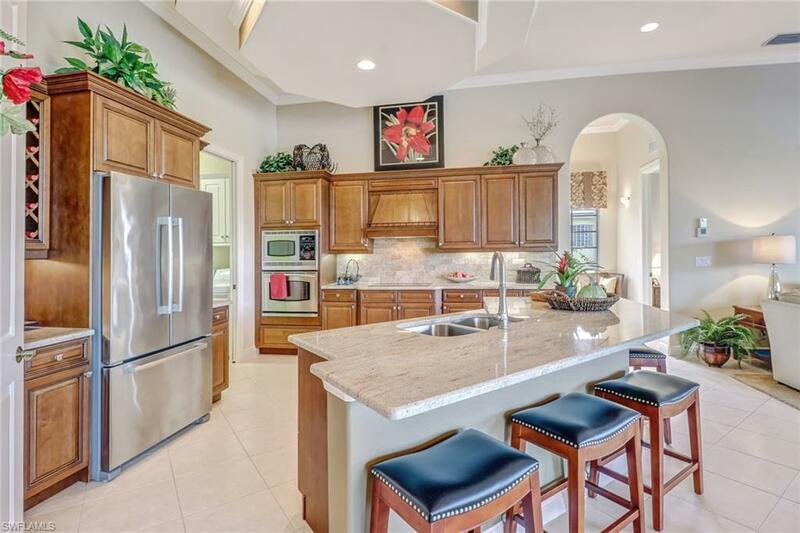 This custom designed home boasts incredible upgrades such as a BRAND NEW ROOF, golf cart side entry garage, over-sized lanai with ample outdoor seating, hurricane rated glass, crown molding, upgraded cabinets and countertops, and a custom master bathroom design. New water heater and appliances were installed in 2015. 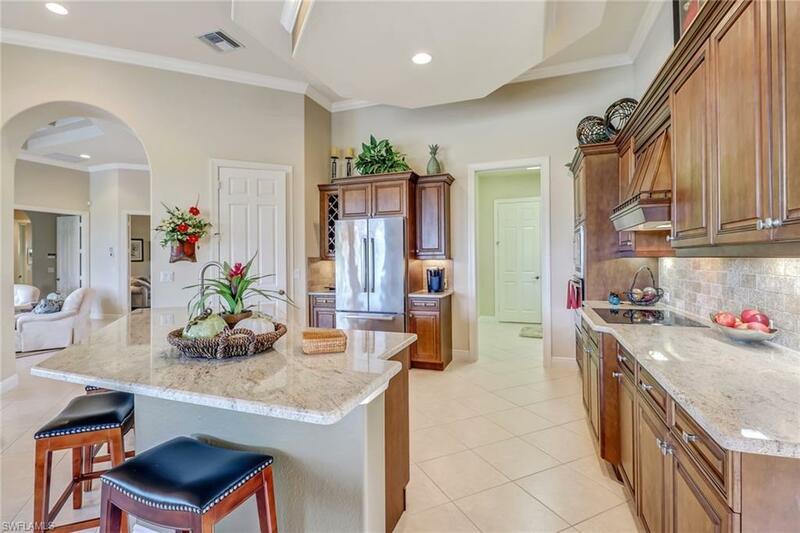 Nestled in a great location within Bonita Springs, Palmira Country Club is a well manicured and amenity rich gated community centrally located close to shopping, entertainment, restaurants and beach access. Residents have access to the lovely Renaissance Center complete with a lagoon-style pool, olympic sized lap pool, spa, restaurant, and well equipped fitness center. Palmira Country Club also offers a 41,000-square-foot clubhouse, dining room, grill, pro shop, billiards, very active social and tennis/pickleball program and a Gordon Lewis designed 27-hole championship golf course. 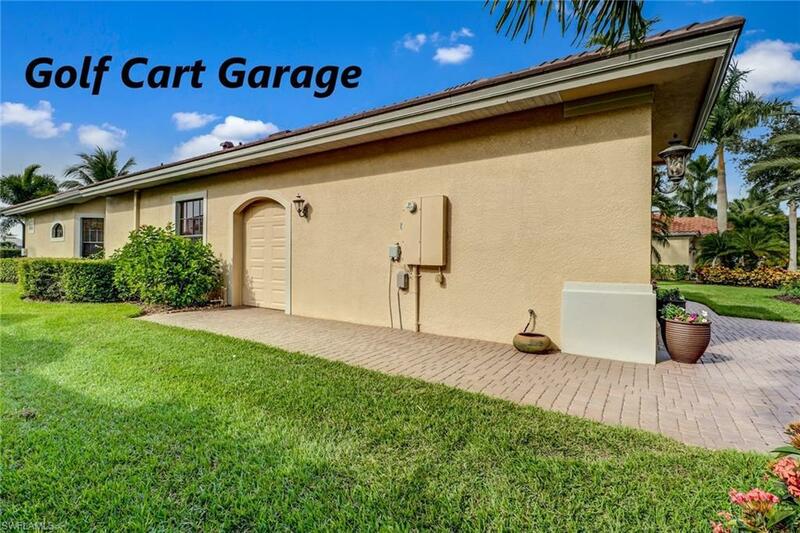 Do not miss your chance to view this incredible property. Schedule your private tour today!